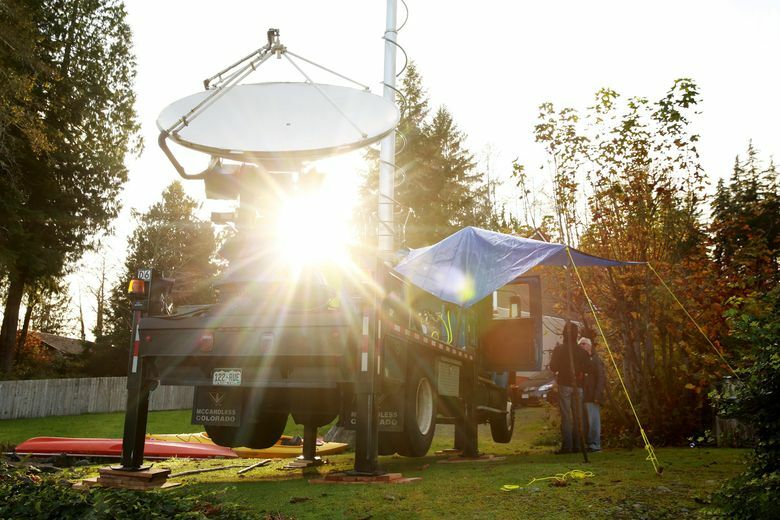 The OLYMPEX project will use aircraft, radar, weather stations and volunteers with rain gauges to improve local forecasts and ground-truth satellite data. Rising from the shore of Lake Quinault like a giant mushroom, an 8-foot radar dish clicked and hummed as it scanned rain clouds sweeping up the valley. The light drizzle provided a practice run for the truck-mounted instrument. But the real action was still several hours away. 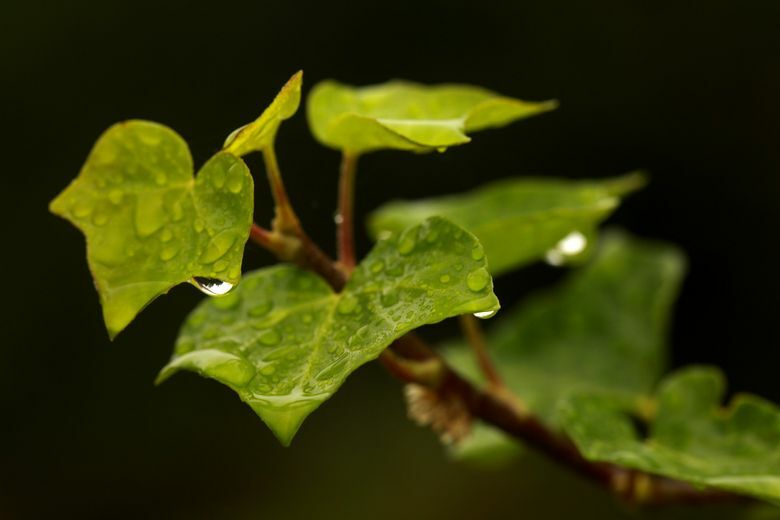 With a powerful weather system moving in off the Pacific, atmospheric scientist Kristen Rasmussen and her fellow researchers were gearing up for heavy rain expected to roll in around midnight. “It’s exciting to start the project off with some good storm activity,” said Rasmussen, a recent University of Washington graduate who’s part of an ambitious scientific campaign to tease apart the meteorological processes that make Washington’s Olympic Peninsula one of the soggiest places in North America. 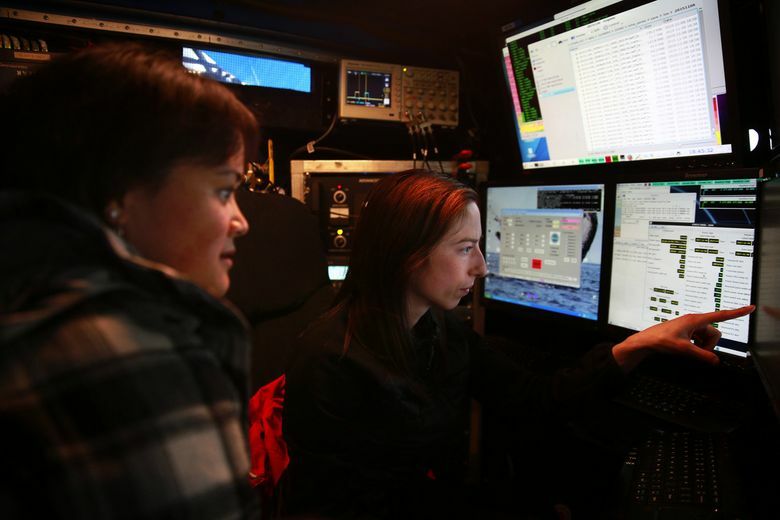 Called OLYMPEX, the collaboration between the UW, NASA and the National Science Foundation will deploy an unprecedented suite of aircraft, radars, weather balloons and ground-based instruments to probe storm systems as they build, move ashore and slam into the Olympic Mountains. The results will help fine-tune weather and flood forecasting in the Northwest. 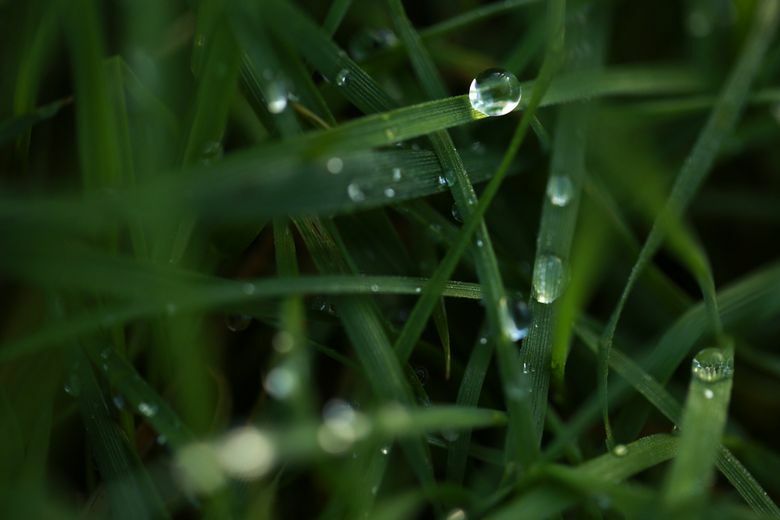 But the primary goal of the $3 million field campaign, which kicks off in earnest this week, is to “ground truth” the accuracy of an international constellation of satellites in measuring precipitation around the Earth every three hours. The heart of the constellation is the Global Precipitation Measurement (GPM) satellite, launched in 2014. Equipped with the most sophisticated precipitation radar ever flown in space, the satellite will be able to quantify rain and snowfall around the globe and fill in existing data gaps over the ocean and the vast swaths of land with few rain gauges. That information will boost the accuracy of weather forecasts and severe-storm tracking worldwide, and will also improve global circulation models and predictions of future climate change. But researchers need to be sure the complex equations and models they rely on will be accurate in converting data from the satellites into precipitation totals and types. 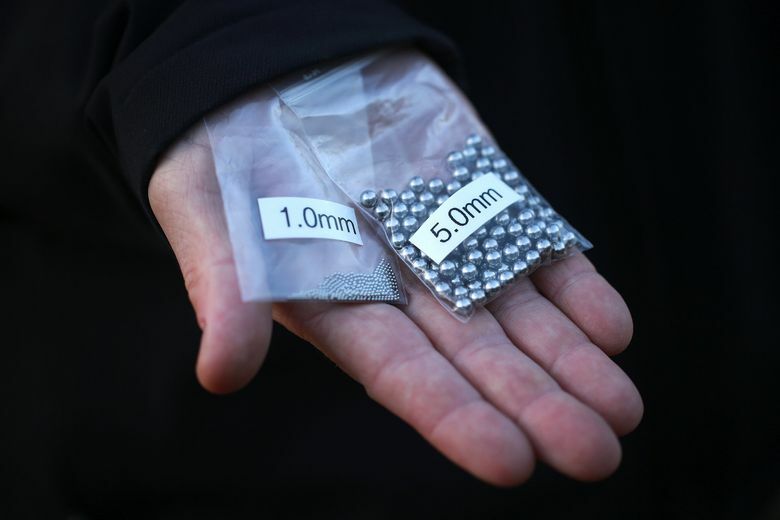 “We need to connect the dots between what we think is going on, based on satellite data, and what is actually being measured at the ground,” said Walt Petersen, of NASA’s GPM program. And if the numbers don’t match, researchers need to understand why so they can tweak their assumptions and calculations. That requires highly detailed measurements of what’s going on inside clouds, from the conditions under which rain changes to sleet or snow to the way storms morph and lose moisture as they move up and over mountains. NASA has conducted GPM validation campaigns in a range of environments, from Canada’s snowy plains to Oklahoma’s Tornado Alley. 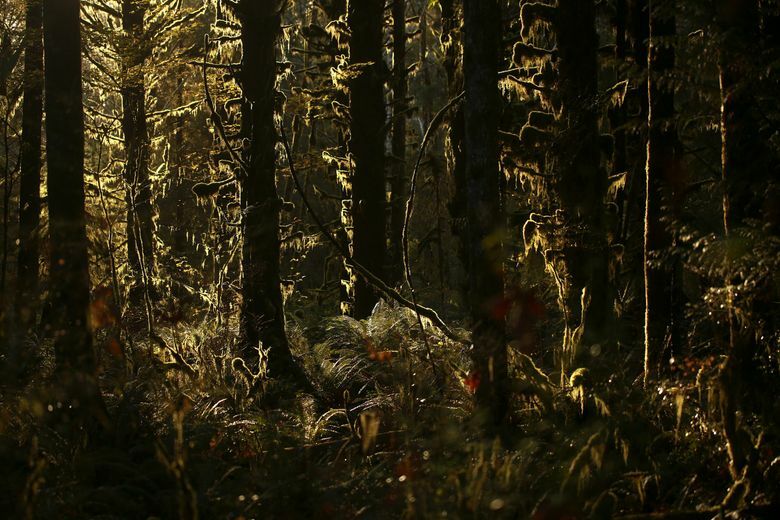 But for coastal mountain weather, it’s hard to imagine a better natural laboratory than the Olympic Peninsula, said UW atmospheric-sciences professor Robert Houze, who has spent almost two years helping plan and organize OLYMPEX. With average annual precipitation ranging from 100 inches on the coast to more than 150 inches in the mountains, the peninsula is a bull’s-eye for winter storms. The topography varies from coastline to glacier-capped mountains over a distance of less than 50 miles, which is ideal for studying the balance between rain and snow. “We have all of the pieces we need in terms of geography and meteorology,” Houze said. But the region’s remoteness and rugged terrain present significant challenges. 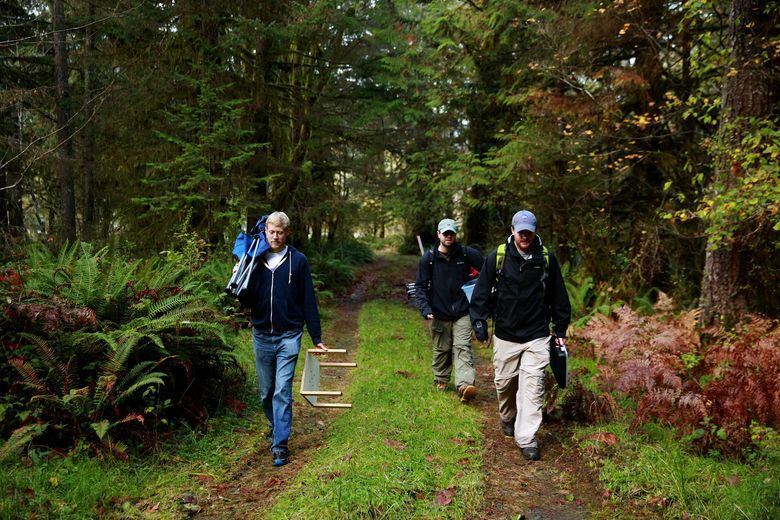 Researchers used mules to carry instruments, 60-pound batteries and solar panels into Olympic National Park, where vehicles aren’t allowed. One team of graduate students packed in 10-foot sections of pole and scaled trees to set up snow-measuring stations — some of which were toppled by bears. The truck-mounted radar — called a Doppler-on-Wheels — had to be moved back from its original lakeside spot when the water level rose 10 feet after a storm. 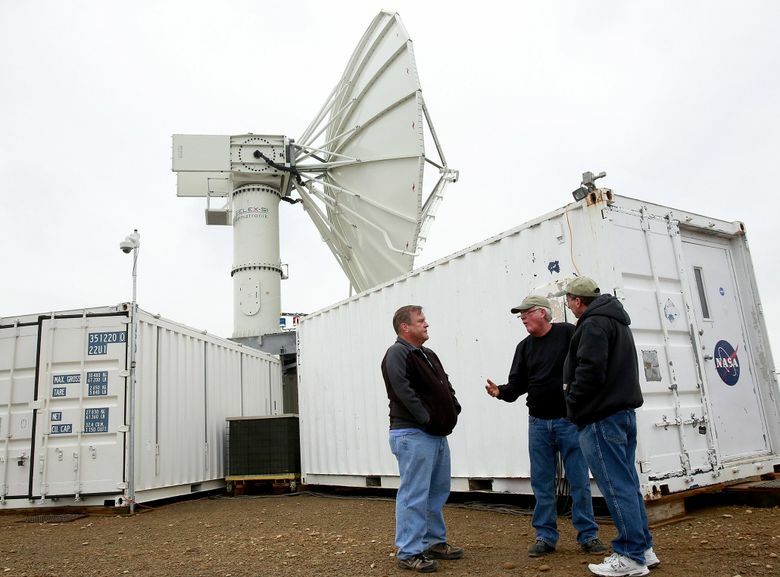 And it took NASA more than a year to nail down a site for the biggest radar in the temporary array. With a dish that measures nearly 30 feet across and a total weight of 60 tons, the instrument is shipped in four cargo containers, which then serve as its base. Engineers assembled the behemoth on a ridge-top perch near Taholah provided by the Quinault Indian Nation. With this week’s arrival of three research aircraft, the project will enter a six-week blitz of intensive data collection, coordinated from an operations center at the UW. As low-pressure systems approach the coast, they’ll be tracked by National Weather Service radars and the giant NASA radar near Taholah, which can “see” in fine detail across more than 100 miles. When the storms move ashore, the temporary radars will scan vertical slices through the clouds to yield three-dimensional images, like CT scans, that reveal not only the intensity of precipitation, but the mix between rain, snow and ice particles. Meanwhile, the smallest plane — a corporate jet-sized Citation II — will skim along at low elevation, collecting data on atmospheric conditions, rain and snowfall rates and even measuring the size of individual raindrops with instruments mounted under its wingtips. 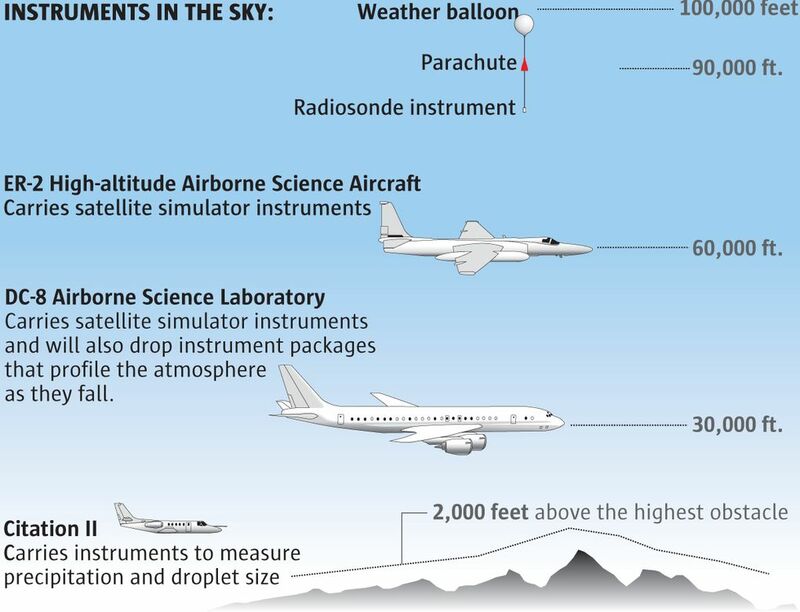 The two bigger aircraft — a NASA ER-2 and a DC-8 airborne science laboratory — will fly above the clouds with instruments that allow them to act as stand-ins for the GPM satellite, which makes only one or two passes overhead each day. A civilian version of the Cold War-era U-2 spy planes, the ER-2 can fly at 60,000 feet or more — so the pilot must wear a pressurized suit. Some of the planes will drop radiosondes while researchers below release meteorological balloons. Dozens of instruments on the ground, including a network of rain gauges in the Chehalis River basin focused on improving flood forecasts, will constantly track how much precipitation actually falls and in what form. But the project isn’t exclusively high-tech. 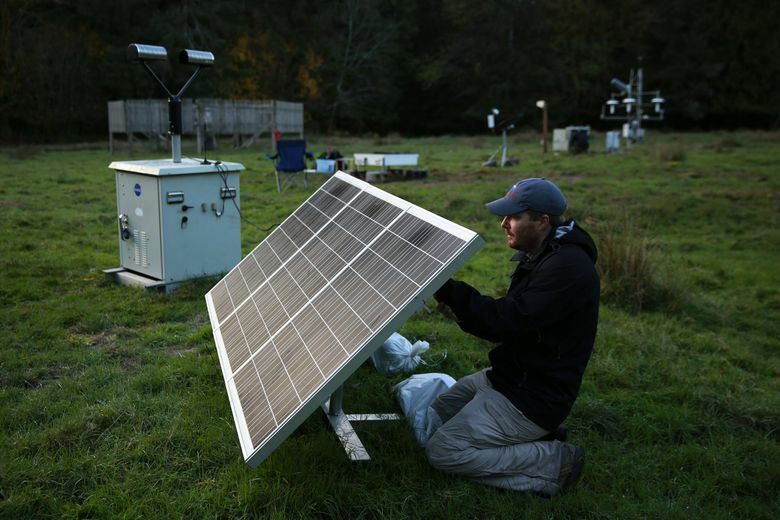 About 180 people on the Olympic Peninsula have volunteered for the Community Collaborative Rain, Hail and Snow Network, which allows them to contribute data from their own backyard rain gauges. After the six-week blitz, a few radars and most of the ground-based instruments will continue gathering data through the winter. 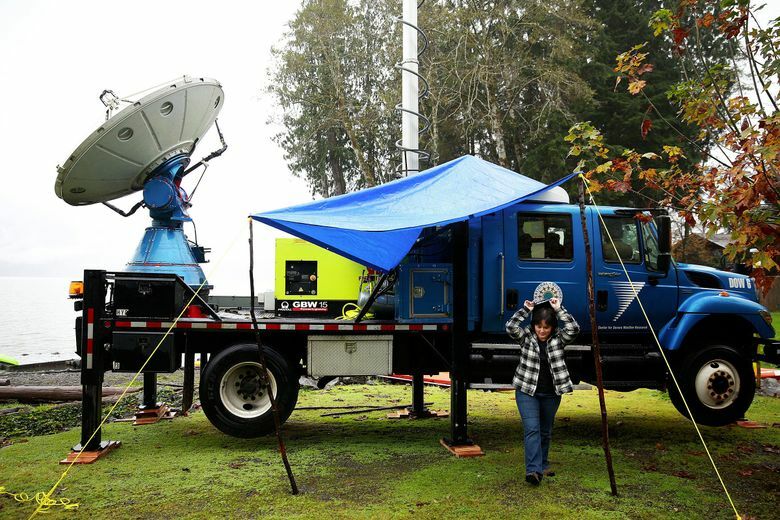 At the Doppler-on-Wheels at Lake Quinault, Rasmussen and her colleagues were settling in last week for 24/7 operations. They’ll work 12-hour shifts logging radar data and monitoring the machinery. And they’ll also keep their fingers crossed for a wet, stormy winter.